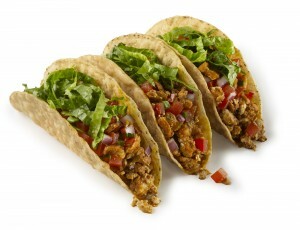 Chipotle Mexican Grill is the preferred fast food joint for many a vegan and vegetarian. I’ve long been a fan of their simple vegetarian burrito, with its cilantro rice, black beans, and salsa options. And don’t forget the guacamole! Even better: their vegetarian option has been available not only as a burrito, but also as a burrito bowl, tacos, or salad. Then, the Chipotle people were thoughtful enough to make their pinto beans vegetarian. (They had been previously cooked with pork.) Thanks, Chipotle! 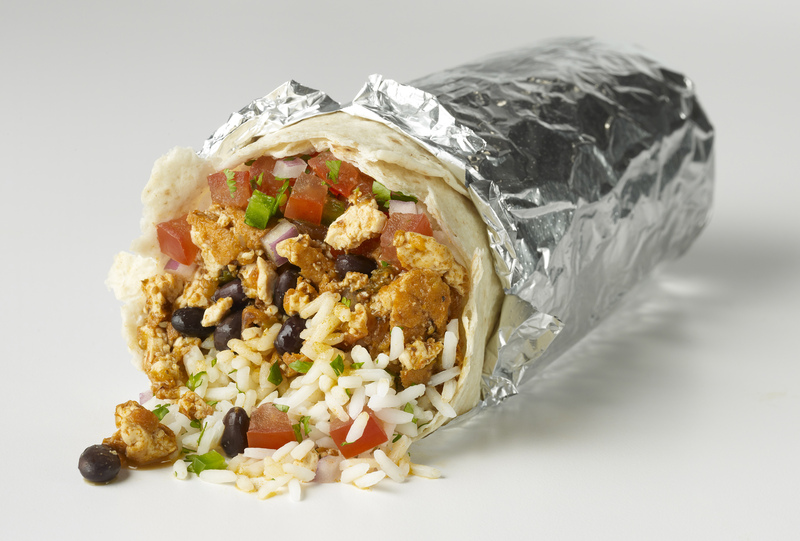 In the past year, Chipotle has introduced yet another vegan option: Sofritas, a savory tofu crumble that can also be used as a meat alternative in their burritos, burrito bowls, tacos, or salads. Steve Ells, Chipotle founder, chairman and co-CEO has said that “in creating the recipe for Sofritas, we wanted to produce something that would appeal to vegetarian and vegan customers, but that was delicious enough to have crossover appeal as well.” I think they’ve succeeded. Sofritas is a delicious way to replace the meat in your Chipotle meal while still getting that satisfying texture and protein boost. Chipotle’s tofu supplier, Hodo Soy, is known as an industry leader for its organic, non-GMO tofu and artisanal methods of production. In case you didn’t know, tofu is a sponge for flavor, and Chipotle has taken advantage of that by infusing their tofu with a mouthwatering blend of salt and spice. I enjoy how it’s just spicy enough to be flavorful, but not overwhelmingly hot. If you want to know how Sofritas are made, check out this cool infographic. I’ve enjoyed Chipotle since they started cropping up in the Twin Cities. They offer a fast, delicious, nutritious, and inexpensive vegan meal. I’m glad to see that they are responding to the trend towards plant-based eating. It’s another sign that our movement is thriving. Give Sofritas a try today if you haven’t already!